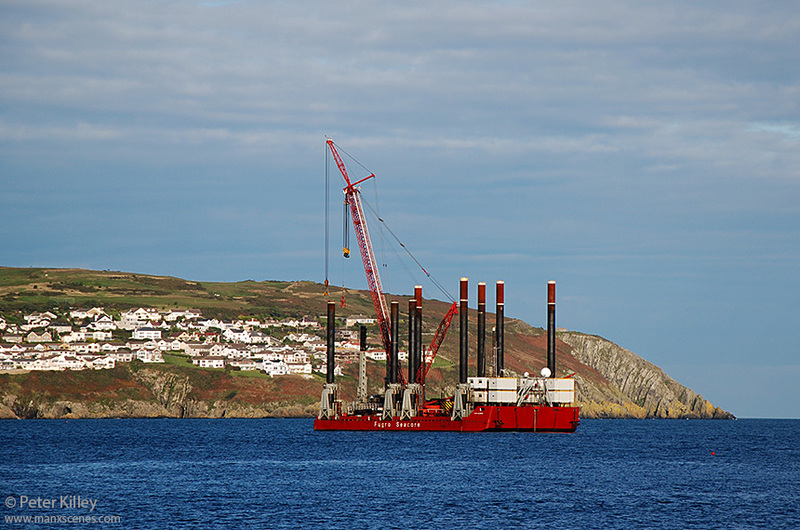 This barge Excalibur which is used for work on the Walney wind farm project is seen here moored in Douglas Bay. The Excalibur jack-up barge, run by SeaCor is a 4000 ton general purpose barge which is used on work for wind farm developments and in the oil supply industry. 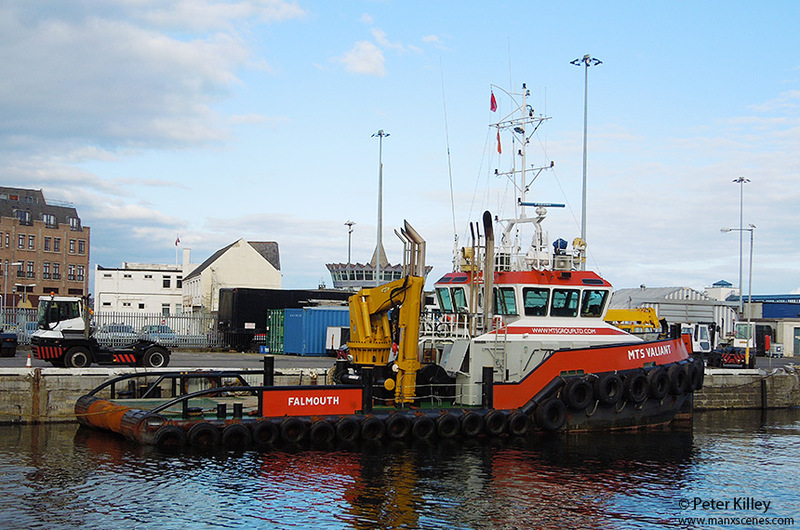 The barge is accompanied by sea going Tug MTS Valiant which is also seen here berthed at the upper end of King Edward Pier in Douglas.